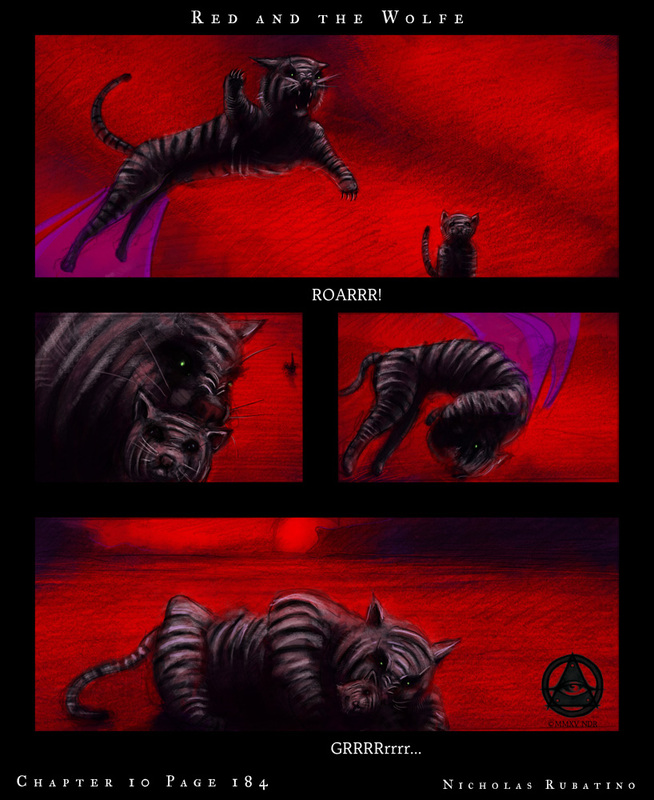 The Zealot tells Red to dream of tigers at the end of chapter 09, so that is precisely what she begins chapter 10 by doing! 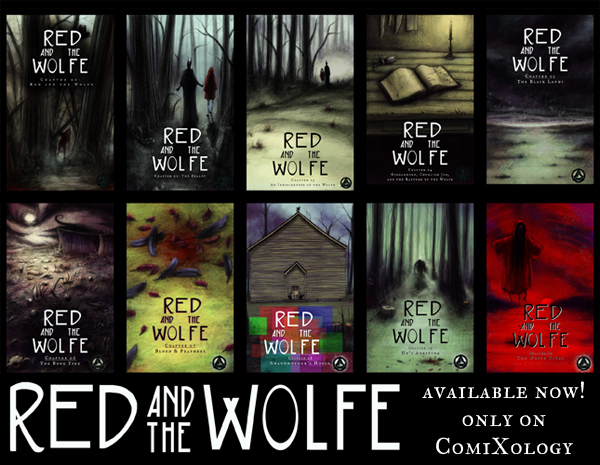 Red and the Wolfe Chapter 10 cover! 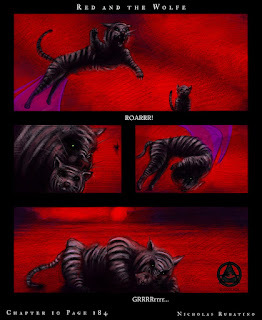 I decided for the cover of chapter 10 to go red. Way red. In terms of the story, the Wolfe had a red scene that took place in reality, Red has her red scene as part of a dream that opens chapter 10. This reinforces the idea I had of the Wolfe (and as a theme charismatic leaders in general, particularly religious) insisting Red confront territory she wasn't yet ready for, because it suited his particular view-point of the world. 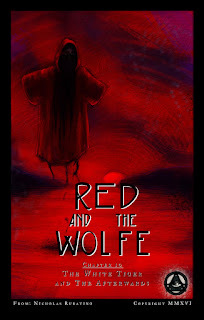 So the Wolfe experienced his red scene in reality, while Red only experiences her's in a dream. Neat huh? !